Dr. Tony Evans is one of the country’s most respected leaders in evangelical circles. As a pastor, teacher, author and speaker, he has raised the bar in expository teaching, applying theological precepts and biblical truth pragmatically to the complexities of life. Millions of lives have been changed by his unique ability to present simple, yet profound real-life illustrations to communicate biblical principles that transform the way people think, and ultimately, how they live. New and veteran pastors alike regard Dr. Evans as a pastor of pastors and a father in the faith. He is a strong advocate for rebuilding communities and racial reconciliation. Many prominent Republicans and Democrats in Texas and the United States support his initiatives. Growing up in the inner city of Baltimore, MD, Tony Evans knows firsthand the challenges urban families face in trying to rise above their circumstances. His life was forever changed when his father discovered the life-giving power of faith and recognized the link between faith in God and good works for the improvement of his family. It was the elder Evans’ Godly example that led his oldest son, Tony, to preaching and teaching the uncompromised Word of God. 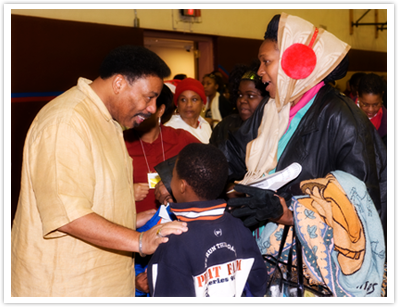 Tony Evans, along with his wife, Lois, established Oak Cliff Bible Fellowship in 1976 with only ten people in their home. Serving as senior pastor for the last 36 years, Evans has seen his church grow from 10 members to over 10,000 congregants with over 100 ministries. Dr. Evans also serves as president of The Urban Alternative, a national ministry that seeks to restore hope and transform lives through the proclamation and application of the Word of God. 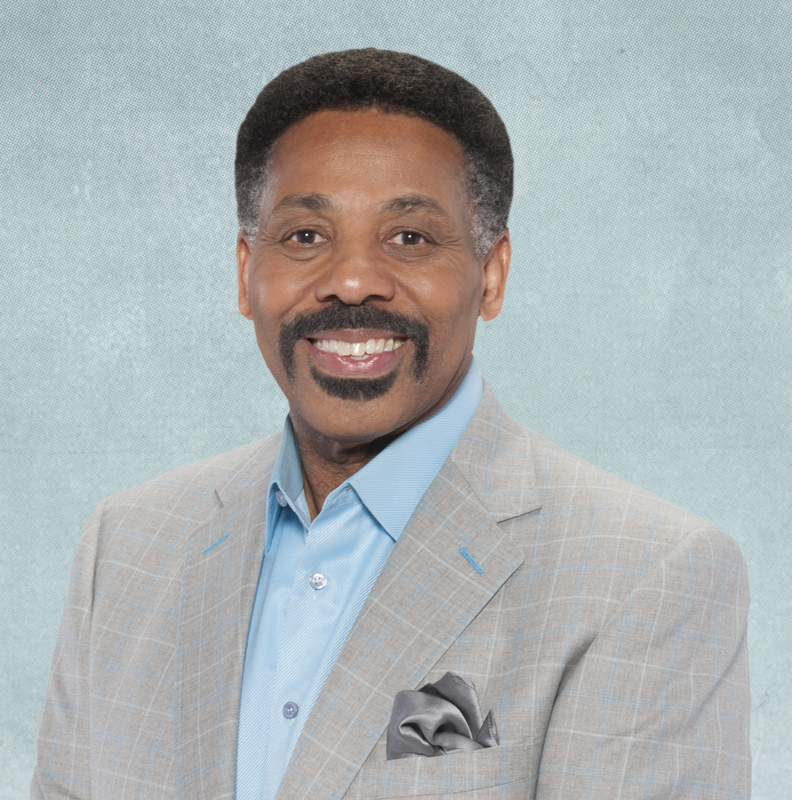 His daily radio broadcast, The Alternative with Dr. Tony Evans, can be heard on more than 1,200 radio outlets daily throughout the United States and in more than 130 countries. The broadcast can also be seen on several television networks. A dynamic speaker, Dr. Evans regularly appears at crusades and bible conferences in the United States and abroad. According to Dr. Evans, trillions of dollars have been spent on reversing social disintegration, yet the problems continue to grow. Society has tried a political agenda, a social agenda, an economic agenda, and even a religious agenda and has failed. Dr. Evans believes it is now time for Christians to set forth a KINGDOM AGENDA. The Kingdom Agenda connects biblical spirituality with social responsibility. Dr. Evans says the church, not the government, is the best social service delivery system since it is closer to the needs of the people, offers the largest potential volunteer force, has facilities for impact programs, and provides a moral and spiritual frame of reference for making right choices. Actually, Dr. Evans’ ministry philosophy led former President George W. Bush to create the faith-based initiative, first as governor of Texas and then as president of the United States. In accordance with the Kingdom Agenda, Dr. Evans has launched two programs that distinctively connect the spiritual with the social, The Turn•Around Agenda (the social outreach arm of Oak Cliff Bible Fellowship) and the National Church Adopt-A-School Initiative (The Urban Alternative’s program of impacting communities). At the core of both is the use of church and public school partnerships to effect spiritual and social change in communities. Both programs minister to a society in chaos with the goal of restoring every area of life to its divine order under the Savior’s rule. Individuals, families, churches and communities receive biblical and practical principles, tools and solutions to meet the challenges of everyday living. The first African-American to graduate with a doctoral degree from Dallas Theological Seminary (DTS), he served as an associate professor in DTS’ Pastoral Ministries Department in the areas of evangelism, homiletics and black church studies. He continues to serve DTS on the Board of Incorporate Members. He is a board member of the National Religious Broadcasters and previously served as an associate evangelist with the Grand Old Gospel Fellowship in Philadelphia. Dr. Evans holds the rare honor of serving as chaplain for the NBA’s Dallas Mavericks over the last three decades, the longest standing NBA chaplaincy on record. He also served as the former chaplain for the Dallas Cowboys, leading Bible studies or providing personal counseling to the team. Dr. Evans has written over 100 books, booklets and Bible studies, including his legacy work, Oneness Embraced and The Kingdom Agenda, a comprehensive, biblical blueprint for effecting spiritual and social renewal in America. Dr. Tony Evans is married to Lois, his wife and ministry partner of over four decades. They are the proud parents of four, grandparents of thirteen, and the great-grandparents of two.